blu™ provides quality, design and performance in equal measure for discerning customers who want a range of window and door hardware that is as stylish as it is hard wearing. 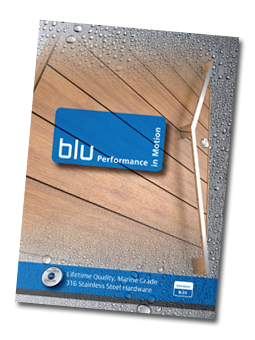 Every product in the blu™ range is manufactured to the highest standards using 316 Marine Grade stainless steel. The result is high performance, corrosion resistance and longevity – particularly in exposed and coastal settings combined with an emphasis on contemporary designs and innovative technology. 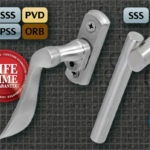 A refined range of window and door hardware products that perform as well as they look, no matter the environment. From statement square mitred pull handles, slick letter plates, pronounced escutcheons, knockers, stunning multipoint lever handles and sleek, contemporary casement stays right through to our range of precision hinges, every product enjoys the same attention to detail and focus on quality, backed up by a dedicated customer service. blu™ offers the largest range of 316 Marine Grade stainless steel products available on the market today with a solution for all styles of private or commercial properties. Why not request a copy of our latest blu™ brochure? blu™ was launched in 2015, by a team of window and door specialists with years of experience in the design and supply of engineered and innovative solutions for the international and UK hardware market. The team recognised a growing demand for high performance hardware that needed to be as visually stunning as it was rugged, and set about creating a market leader. By adopting 316 Marine Grade stainless steel, blu™ created an unsurpassed range of window and door hardware, incorporating quality through every aspect of the manufacturing process. 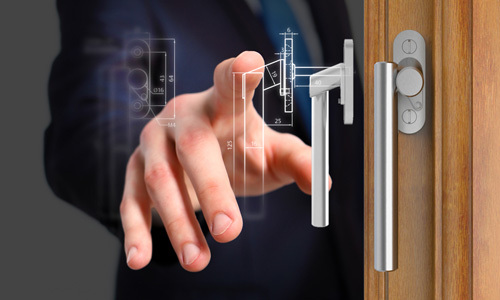 blu™ is now recognised as the leader in window and door hardware and is in demand across the UK, European and increasingly Global window and door market by those demanding attention to detail, anti-corrosion performance and enhanced design. The success of blu™ is in part due to listening to the desires of our customers, and then designing and creating a range of hardware that surpasses expectations. 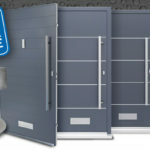 With a constant focus on R&D that is bringing new products to the blu™ range adding style and longevity to external doors and windows, backed up with a dedicated customer service that includes site, telephone and online support whenever it is needed, blu™ is the byname for quality, backed up by our ISO9001 accreditation. blu™ has been created for those who simply won’t compromise when it comes to quality, reliability and technical performance. To see and feel the blu™ range for yourself, is to truly understand its beauty and craftsmanship. 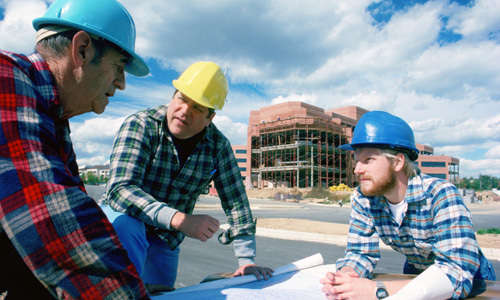 If you would like one of our sales team to call you to arrange a meeting call us on 01726 871724 email us on sales@blu-performance.com or speak to one of the team on our live web chat form. 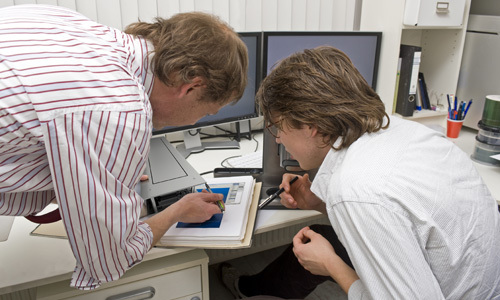 Specialist Technical Advice – as window and door hardware specialists, our dedicated technical team is on hand to help you select the right products every time. Next Day Delivery – Order before 3pm and we guarantee next working day delivery on all stock items. Speak to us about our range of Next Day delivery options or if you are in the offshore Islands or Highlands.